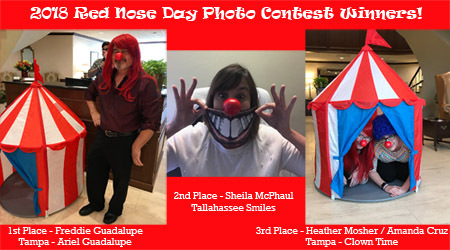 Banker Lopez Gassler brought the "funny" for the 2018 Red Nose Day campaign. Red Nose Day is a national fundraising campaign to end child poverty. Launched in the US in 2015, Red Nose Day brings people together to have fun, raise money, and change the lives of kids who need our help the most. The money raised by Red Nose Day in the US has benefited programs for children and young people in all 50 states and in 34 countries internationally. Below are the finalists for the Banker Lopez Gassler photo competition.